High magnitude seismic events (HMSE), also called major events, triggered at underground mines can severely threaten safety and structures in mines. The aims of this work are to assess stress evolution with the occurrence of them and identify patterns in stress change. Several methods were used to help understand the stress redistribution and rock mass behavior related to two HMSE with moment magnitude greater than 1.0 in a deep nickel mine. Approximately 46,500 seismic events were compiled with 2 HMSE at this mine and used seismic tomography to obtain high-resolution images and temporal-spatial velocity changes before and after these events. This work exhibited surrounding stress evolution and geological structures. Seismic imaging results show that velocity increased in the nearby regions of HMSE before they were triggered. Stress subsequently reduced in the relaxation process after the occurrence of HMSE. Conversely, regions predominantly occupied by low-velocity anomalies increased to higher stress levels after HMSE. Overall, the stress redistributed toward an equilibrium state following HMSE. This study highlights the value of utilizing seismic tomography for estimating stress evolution associated with HMSE. The findings illuminate the applications of seismic imaging around HMSE of hard-rock mines, providing insights into seismic hazard mitigation for deep mining. 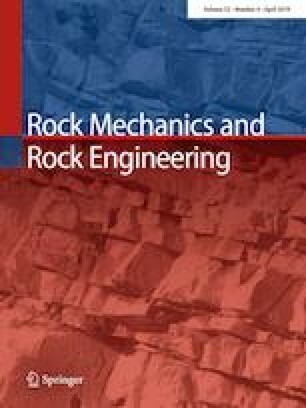 Revise and resubmit to Rock Mechanics and Rock Engineering. Vale Canada Limited provided the field data for this study. Support for this project came from the Canadian Mining Industry Research Organization and a NIOSH Ground Control Capacity Building grant (contract 200-2011-40313).